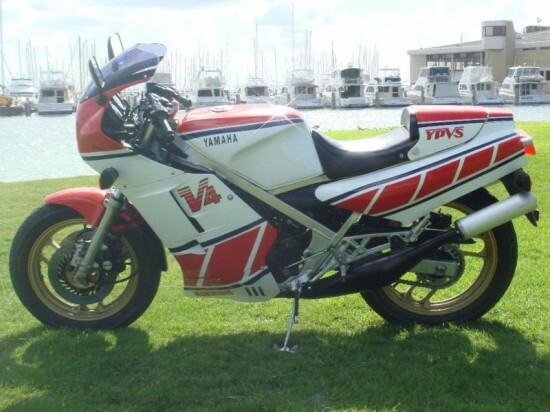 Back in 1984, for the equivalent of approximately $3900 USD, you could walk into your local deal (as long as you were not in the US) and purchase the closest thing to a real GP bike: a Yamaha RZ500. 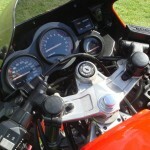 Born as a no-excuses sportbike, the biggest RZ sported a 50-degree v4 configuration, reed-valve induction and liquid cooling. 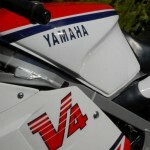 All told, these bikes produced approximately 80 horsepower – while pushing about 430 lbs of bike. 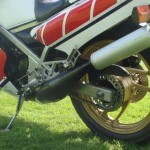 The chassis of the RZ was novel, if not spectacular. Created of mild steel (only the Japanese market RZV had an aluminum frame), the perimiter frame allowed for a compact and tidy package. 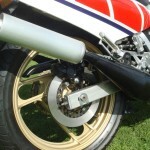 The front end contained the latest GP-inspired fads: a 16″ front wheel and an anti-dive control (thankfully, neither of these items plague more modern machinery). The forks were sizeable in their day, but laughably small and willowy by today’s standards. 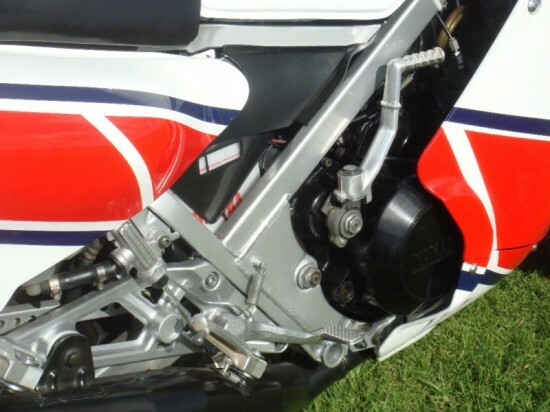 And with the v4 and ancillary YPVS hardware, the radiator plus four expansion chambers all taking room inside the bike, the rear shock was relocated down to the bottom of the bike, working in compression. 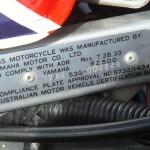 THESE BIKES ARE GETTING VERY DIFFICULT TO FIND – ALMOST IMPOSSIBLE TO FIND IN THIS CONDITION. THIS BIKE IS NOT NEW BUT ITS NOT FAR OFF. THIS BIKE HAS BEEN RESTORED TO ITS CURRENT CONDITION. 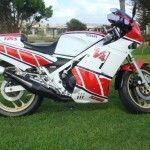 BIKE AND FRAME TOTALLY RESPRAYED AND HUNDREDS OF PARTS REPLACED WITH YAMAHA NOS STOCK. 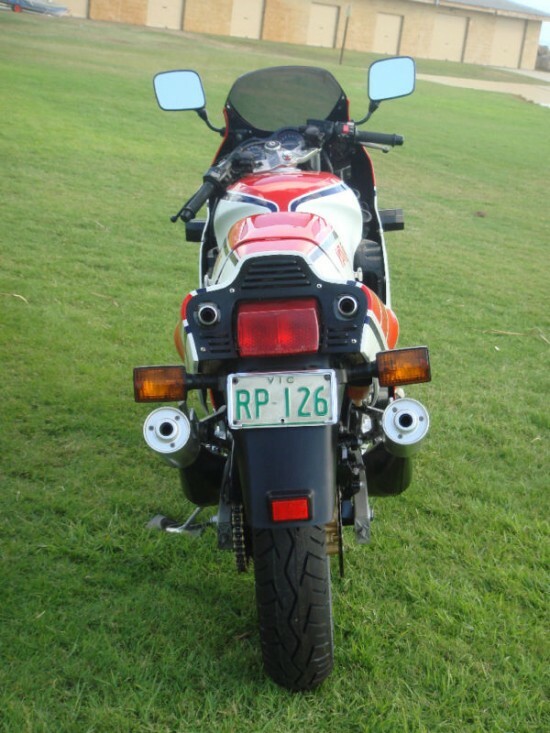 THE BIKE WAS IN EXCELLENT CONDITION WHEN I PURCHASED IT BUT I WANTED IT IMMACULATE AND SO STARTED THE RESTO WITH MANY THOSANDS OF DOLLARS AND MANY MAN HOURS. THE LEFT HAND BELLY PAN STRIPE DOES NOT QUITE MATCH (ABOUT 3MM OUT – yes i am that pedantic) SO IT IS BEING RESPRAYED TO MAKE IT PERFECT AND WILL BE DELIVERED THAT WAY TO ITS NEW OWNER. 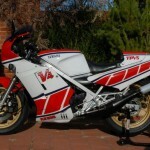 Our readers over on RSBFS seem to love these bikes – and we are all too happy to find them and post them! For a few examples of previous postings, see HERE, or HERE, or HERE, or HERE. See what I mean. And that is not even all of them. But what’s not to like? Limited numbers, great performance, outstanding curb appeal and the sort of cachet that only a race-bred two-stroke can offer you. Which is why these bikes can bring good money on the used market. Previous examples have generated significant interest, with some crossing the $10,000 USD mark. This particular bike, with its reasonable mileage (20k km, or about 12,000 miles) and great condition should push that range in the right auction conditions. 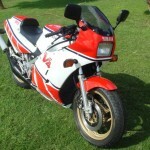 This bike is available now on eBay Australia. The current bid is only $5,100 AU (with no reserve), which if my currency calculator is correct works out to be a mere $5,300 USD; a real bargain.